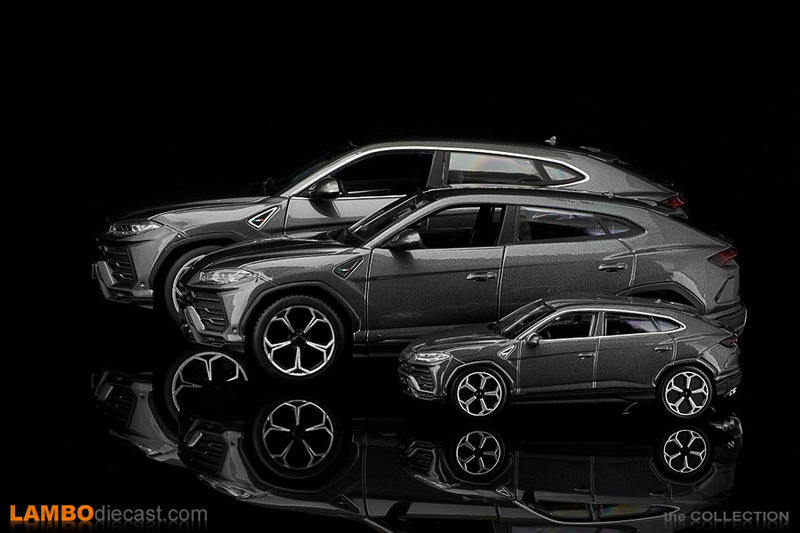 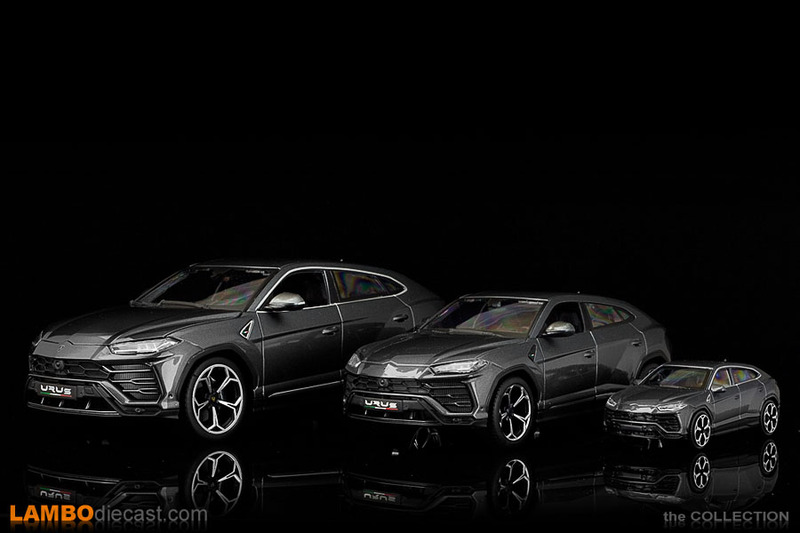 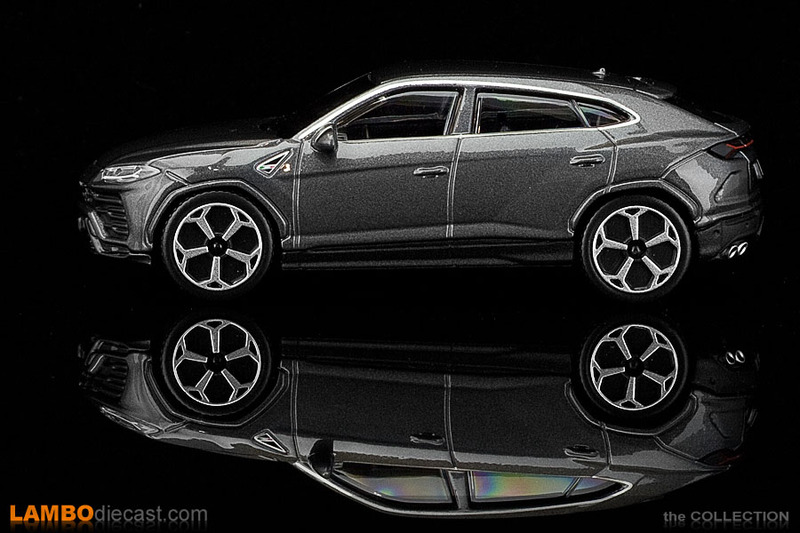 I always like to have the same model in different scales, so with the 1/18 and 1/24 scale versions of the Lamborghini Urus already in my collection, I just couldn't resist adding this smaller 1/43 scale version from Bburago in Grigio Lynx too, putting them all side by side is just so nice to look at, I do hope someone will bring out a 1/64 scale model too in this shade. 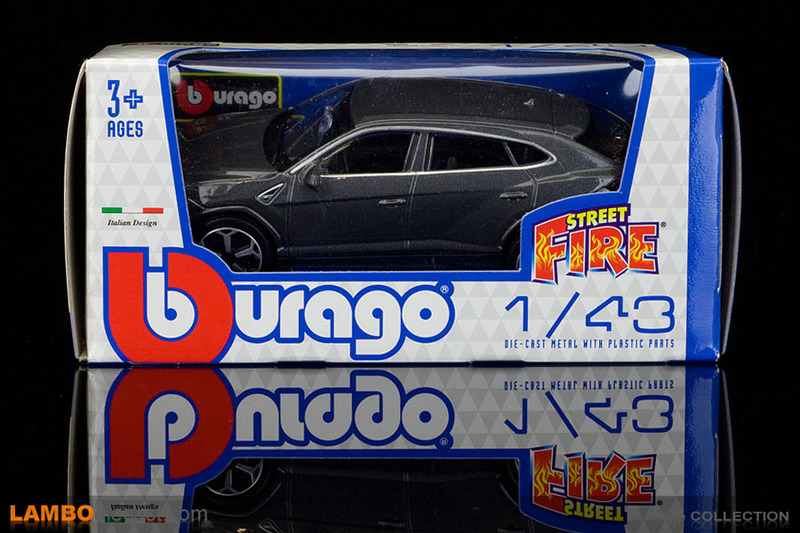 There's not much to review about a Bburago made 1/43 scale model in their Fire series, it's more a toy than a collectible diecast model, but at least they tried to mimic the look of the wheels, the taillights are there, as are the quad exhausts. 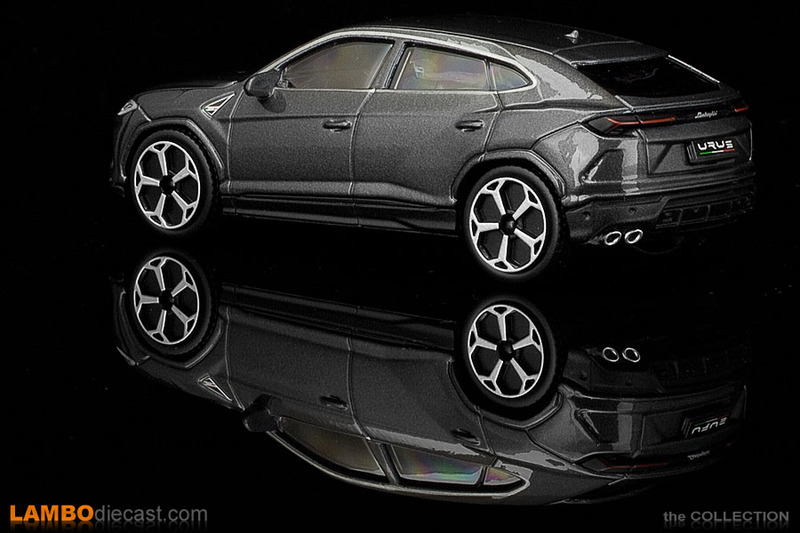 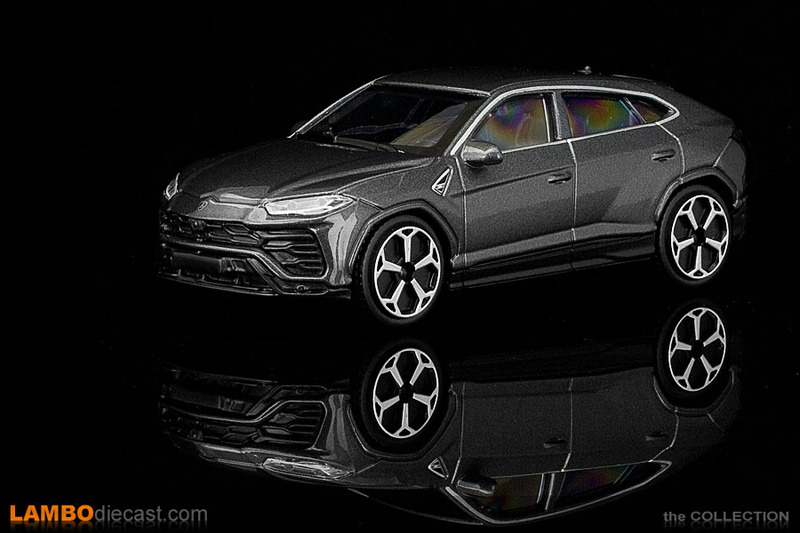 So for a low cost, 1/43 version of the Lamborghini Urus made by Bburago, this is a rather nice model in the end, and I'm very happy to have added it to my collection.